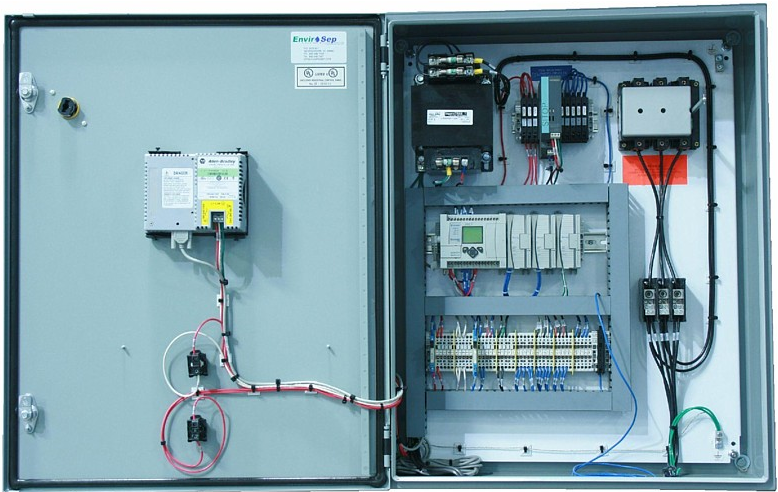 The Envirosep Model 1000 Controller, combines a compact Micro-Programmable Logic Controller (uPLC), a 4-Line display, panel switches, and control of remote devices into one cost-effective system. 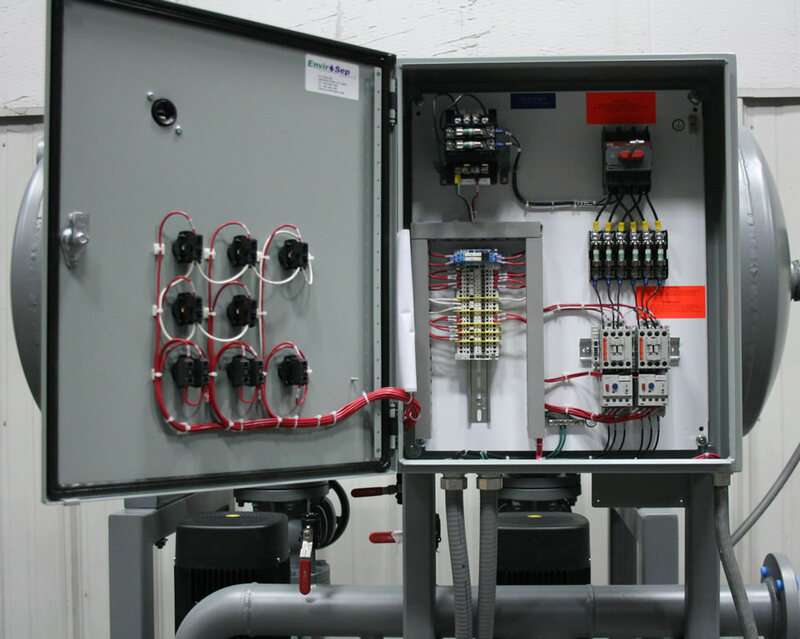 This small, simple, yet flexible control system is the heart of many of our constant speed pumping packages. 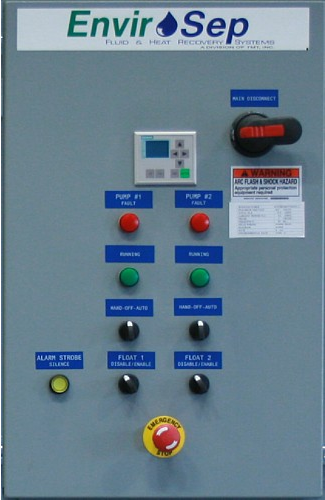 Control features such as Lead/Lag and Pump Alternation are provided for demand staging and equal wear of pumps. The Model 1000 is perfect for applications where meeting process demands with ‘hard-wired’ devices would be too complicated.